Shopping for Tablets? Then we’ve got what you’re searching for. 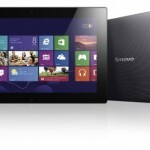 We recently added Lenovo IdeaTab K3 Lynx 11.6-Inch 64 GB Tablet to our online store. All of the %CATS is hand selected by the pros at PC Pros 2 Go.